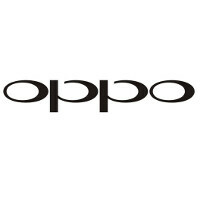 Oppo prepping Oppo N1 mini and Oppo N2? The spectacularly spec'd Oppo Find 7 has apparently wiped the memory of the Oppo N1 from everyone's mind. The latter featured a 13MP camera that could rotate 206 degrees, allowing it to be both the back and front facing camera. According to Taiwan supply chain sources, Oppo is working on a mini version of the N1 along with a sequel to the full-sized N1 that will apparently be named the Oppo N2. The Oppo N1 mini is expected to feature a 5 inch screen of unknown resolution. The original Oppo N1 has a 5.9 inch glass, so in this case there is nothing wrong with calling a 5 inch phone a "mini". According to the rumor, the N1 mini won't be a slouch in the processor department. It will feature the octa-core MT6592 chip or the octa-core Exynos 5422 chip under the hood. There will be a variant of the phone with support for LTE connectivity, and one made without LTE support. As for the Oppo N2, apparently we finally found something that the Taiwan based supply chain doesn't know that much about. Outside of claiming that it is in the works, the tipsters had no specs to report about the sequel to the Oppo N1. I loved the concept of the N1 but thought it was too large for my tastes. This could be interesting and something worth keeping an eye on. give me expandable memory and a decent camera and i'll be all over this one.. OPPO knows all about the aesthetics. There is something wrong with calling a 5" phone mini because i click on the article expecting to find a smaller phone i may be interested in, and instead get my time completely wasted. “Smart Features” The Oppo A37 is the best ever gift I have got from my husband. He gave me this phone and resolved all the fights between us. The phone is really one of the best things one could ever have. With the 2 years of warranty and 30 days of replacement guarantee, it is one of the best thing. “Gorgeous Looks” The perfect example of gorgeous figure with perfection that attracts everyone is the phone that works well. It was the phone that works that are smart enough to deal with. When the phone is working out as the best thing then it is only thing that is shipping at the perfection. When Oppo F1 s is working in the harder perspective and dealing with the best possible outcomes then it is one of the only reason why Oppo F1 s is so much successful in the market. Such a phone with which the selfies can easily be transforming into realistic measures. The phone that works just awesome. Superb phone that is working out as the best.